It is not easy being Greece these days. On one side, Athens is pressed by the thousands of refugees overflowing from Turkey and its Schengen partners, and on the other it is pressured by disagreement between the Eurogroup and the International Monetary Fund on the implementation of the third bailout programme. The bailout programme, agreed on under the threat of eviction from the euro area, became hostage of the disagreement between the IMF and the Eurogroup regarding the need for new trimming of the Greek debt. This placed in serious jeopardy the implementation of the programme, although this time Greece is making serious efforts to fulfil the commitments, made in the summer. The problem is inbred in the programme itself, as euinside reported. The third bailout package was approved on August 19th of last year and is expected to end on August 20, 2018. Its value is 86 billion euro, provided by the European Stability Mechanism (ESM), with the IMF refusing to take part at the time until a new debt relief is negotiated. The Eurogroup, however, thinks that it is not necessary, the more so because the main holders of Greek debt at the moment are euro area governments, which makes such a move hard to swallow politically. The IMF and the Eurogroup bought themselves time with the long hard homework that they gave Greece. 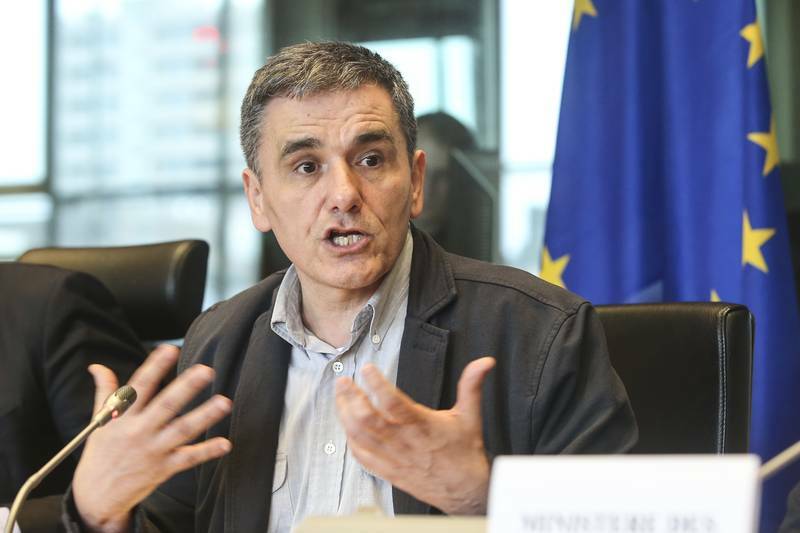 Minister of Finance of Greece Euclid Tsakalotos, who replaced the scandalous ultra-left Yanis Varoufakis, put tremendous and, to a great degree, successful efforts into changing Greece’s image. After painful months of reforms, political problems, and the refugee crisis at the background the Eurogroup was reporting good progress. This encouraged the Greek government to ask for concessions. 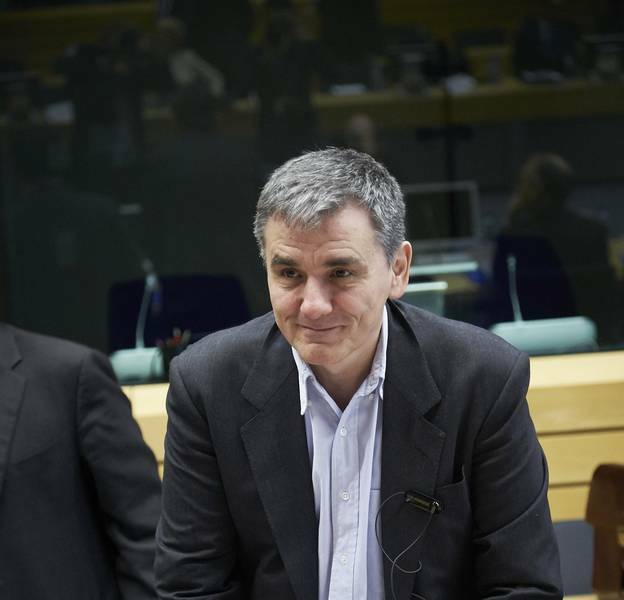 Last week, Minister Tsakalotos came for a hearing in the economic committee of the European Parliament, where he made a great impression and received support. As opposed to his predecessor Varoufakis, the Great Britain schooled Tsakalotos, with brilliant British accent and an academic approach to the dialogue with MEPs, explained what was wrong in the relationship between Greece and the institutions. There are five major issues at the moment, which will be crucial to the finalisation of the first review of implementation of the programme. Among them is the reaching of the most important goal of the agreement – primary budget deficit of 3.5% of GDP in 2018. The IMF and the EC differ in their forecasts for the economic and fiscal state of Greece. 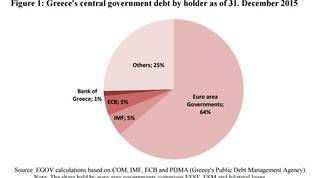 Athens and the EC have similar calculations regarding the fiscal gaps. The IMF’s calculations, however, are quite different. This was evident as early as the summer, when the EC and the IMF presented totally different forecasts for the sustainability of the Greek debt. According to the EC’s winter forecast, Greece’s government debt will peak to 185% of GDP during this year, which is considerably lower than the 199.7%, which the EC envisaged in its autumn economic forecast. The situation in Greece has changed tremendously since the last summer, which also changes forecasts. 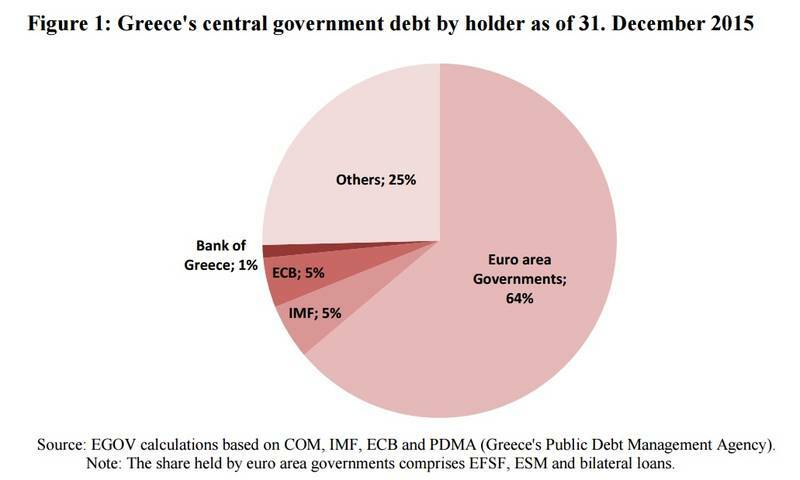 The IMF, however, keeps pressing that the Greek debt is unstable and threatens the fulfilment of the set targets. On March 3rd, a day after Tsakalotos’ appearance in front of the economic committee, the director of the European branch of the IMF, Poul Thomsen, published a new blog entry, in which he insists that the pension reform, whatever it is, will not make the Greek debt sustainable without a new haircut. “To reach its ambitious medium-term target for the primary surplus of 3½ percent of GDP, Greece will need to take measures in the order of some 4-5 percent of GDP. We cannot see how Greece can do so without major savings on pensions”, wrote Poul Thomsen. 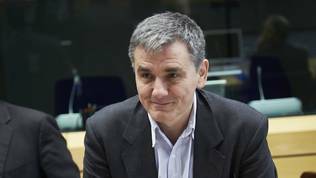 Tsakalotos explained to MEPs that a new cutting of pensions was unthinkable, for it is politically impossible at the moment. He agreed with the IMF’s arguments that, indeed, the pension system is a very large expenditure to the Greek budget, but pointed out that Greek pensions were often the sole family income and compensate the lack of incentives for unemployed and students. He feels it is very difficult, in a period of recession, to do more than what has already been done. Up until now, Greek pensions have been cut down 11 times over the last 5 years, and the system has been seriously reformed, he said. The Greek finance minister is convinced that if the IMF stopped demanding more cuts, the situation would improve significantly with the growth of the economy and the improvement of tax collection. He appealed for a maximum expediency in the finalising of the first review of the programme, for each delay would have quite dire consequences. On the one hand, the longer the pension reform is on the negotiation table, the better the opposition will organise to counter it. If the review is not finalised soon, investors will not come back, people will not feel things are going forward, growth will not be as high as expected, targets will not be met, and Greece will go back to square one. There is the threat of a possible delay creating a self-fulfilling prophecy that the Greek programme is failing. 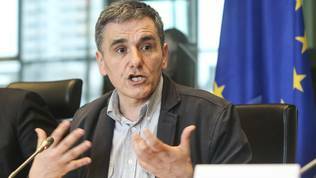 “[There is] no reason that I can understand either as an academic economist or as a minister of finance”, said Euclid Tsakalotos in the European Parliament. The minister got strong support from committee members, who also said they could comprehend why the institutions are unable to reach an agreement. “I ,indeed, find it very difficult to understand how we're not able to move ahead. All the European institutions seem to agree. We hope that the IMF will become more reasonable and I think that we should tell them this”, said committee chairman Roberto Gualtieri (Socialists and Democrats, Italy). The IMF, however, remains adamant. In his blog entry, Poul Thomson explains that expecting Greece to simply “grow out” of its debt problem without debt trimming, “by rapidly transitioning from the lowest to the highest productivity growth within the euro zone—is not credible”. It is also difficult to believe that Greece will at once manage to deal with its infamous tax evasion. “Pension reforms cannot be avoided by simply assuming higher tax collections in the future”, continues the blog. 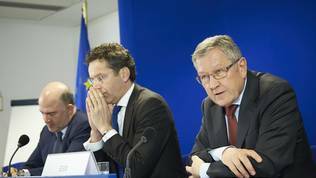 Finance ministers of the euro area conceded to the Fund at their meeting of March 7. Eurogroup President Jeroen Dijsselbloem (The Netherlands, Socialists and Democrats) announced, that the Troika representatives were returning to Athens as early as this week, after, following the conflict with the Fund, a whole month passed after the bosses of missions left the Greek capitol. A conversation on debt trimming is coming up very soon. Exactly when – it is unfortunately unclear. Dijsselbloem admitted that the fulfilment of fiscal goals, set in the programme, is directly linked to “some debt relief measures”. He said that there was no formal link between the programme’s implementation and the debt haircut conversation, but the link between them is very strong. In that case Greece will have to do much more than what is at the table right now. The debt conversation should serve as a sweetener, is obviously what Mr Dijsselbloem means. Greek Finance Minister Euclid Tsakalotos said upon exiting the meeting that the agreement achieved was good, but he was not too eager to comment in detail. 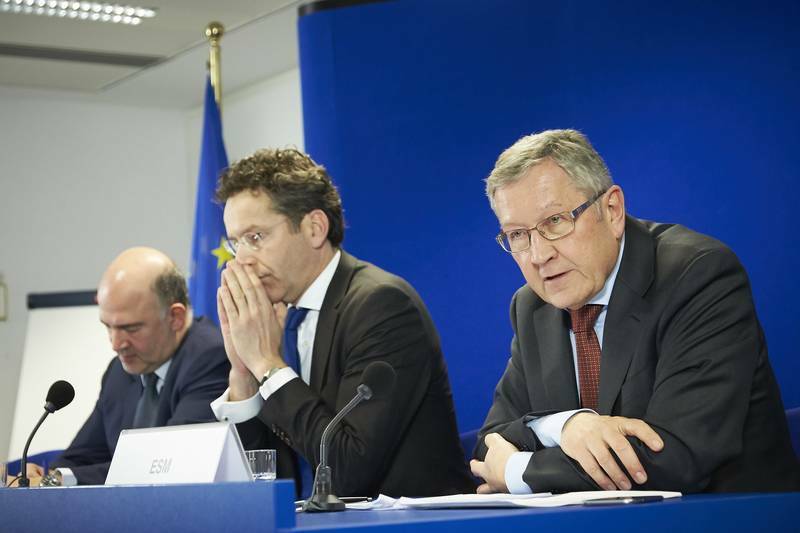 Jeroen Dijsselbloem, Commissioner on Economic and Monetary Affairs Pierre Moscovici (France, Socialists and Democrats) and the boss of the bailout fund, which is currently funding the Greek bailout programme, Klaus Regling (Germany), admitted it would be very difficult. Klaus Regling was exactly the one who, during the summer, demanded that any further debt haircut was impossible. At the moment, Greece is receiving its life-saving injection at a very low interest rate. You could probably talk about some further delay, he said, but was adamant that there cannot be a trimming. At this stage, nobody is saying exactly what the debt relief will be. 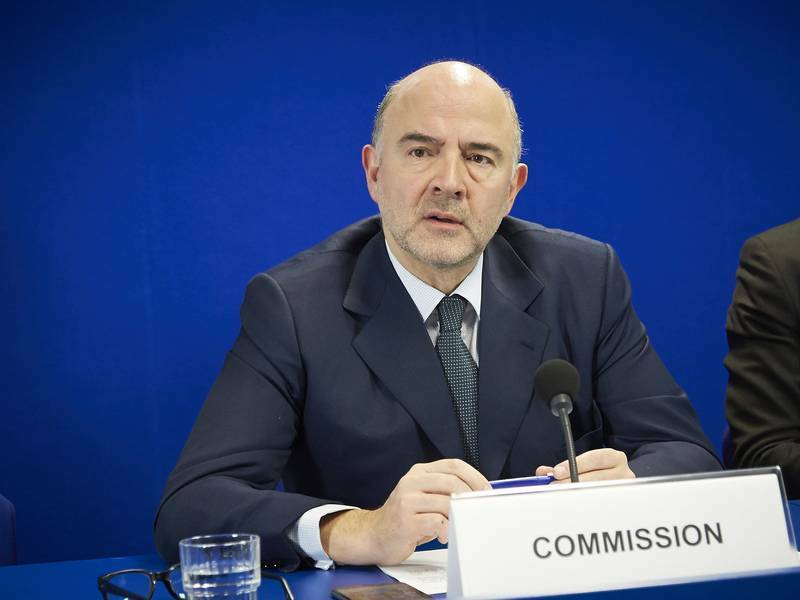 Commissioner Moscovici was the only one to make a very clear link between the discussions on Greece’s bailout programme and the refugee crisis. “It is, I believe, of everybody's interest, especially when we take into account the situation on the migrant issues, because, of course, there's no direct linkage between the two points, but there is a pressure on Greece and this is why the European Council is discussing on answers on that”, said the French Commissioner. German Finance Minister Wolfgang Schäuble demanded over the weekend that no connection were to be made between the two issues. 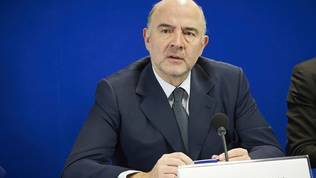 Pierre Moscovici did not go into any detail on the subject, but pointed out that Greece had five challenges ahead of it: creating a privatisation and investment fund; finishing the pension reform, which, he said, is crucial; create independent revenue agencies; solving the non-performing loans issue. It became clear from the Eurogroup meeting that Greece will be given no concessions and it will have to drink the bitter third bailout programme to the end, whatever it costs. And receive debt relief in exchange. Whether the government will succeed in selling this deal to Parliament and citizens remains to be seen. Meanwhile, however, finance ministers of the euro area hailed Cyprus’ decision to walk out of its bailout programme with no new aid requested. Klaus Regling hurried to stack the Cyprus one as the fourth successful bailout programme. With this he seemed to show Greece it could be the fifth one if it did what is necessary.